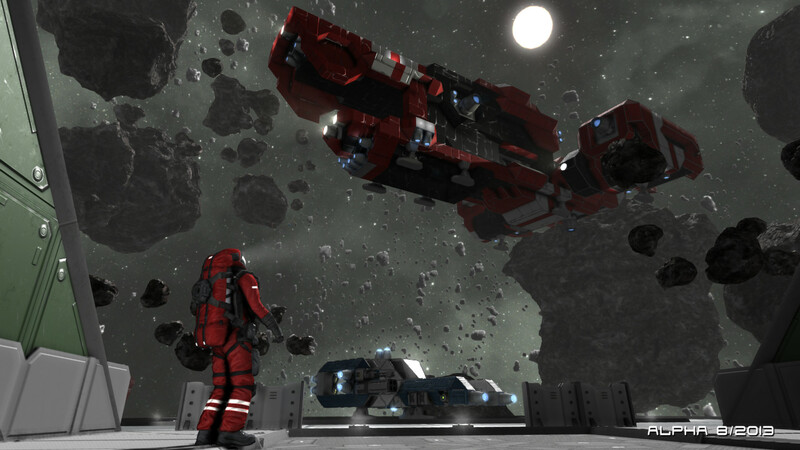 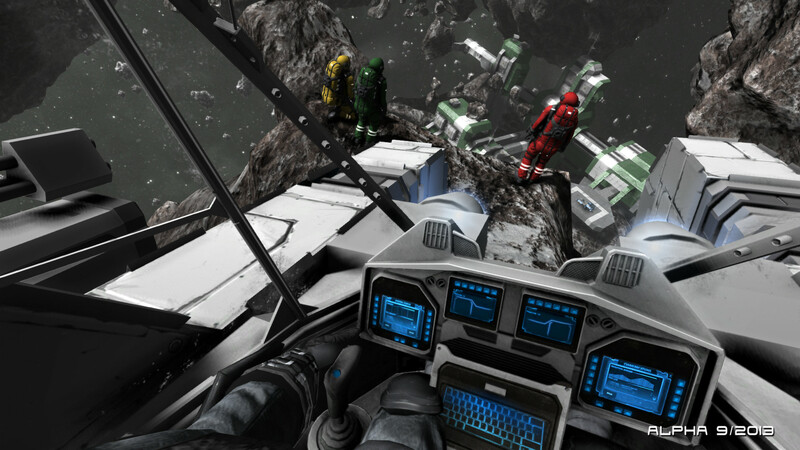 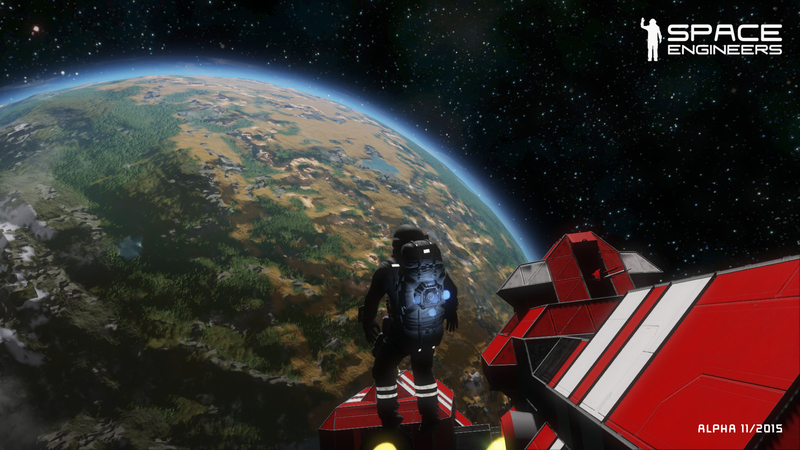 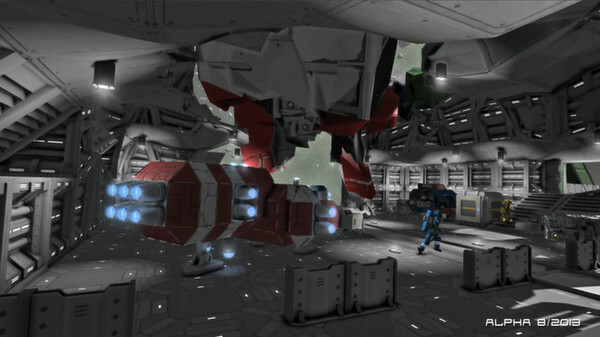 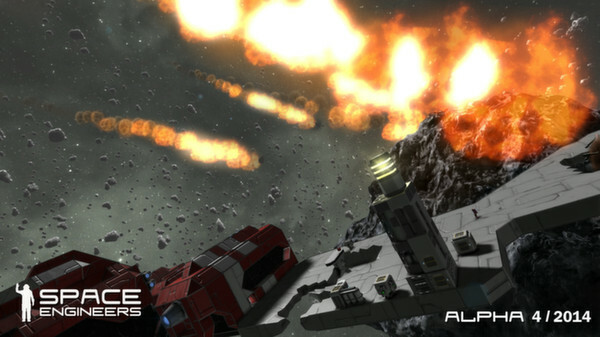 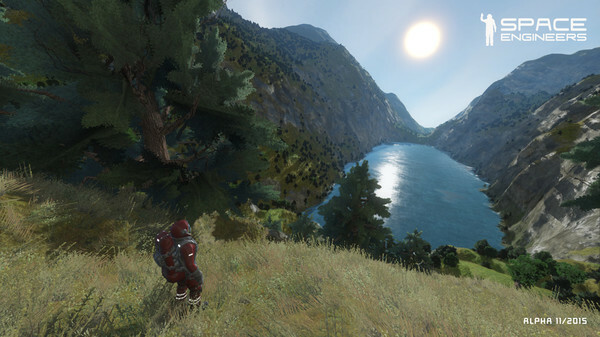 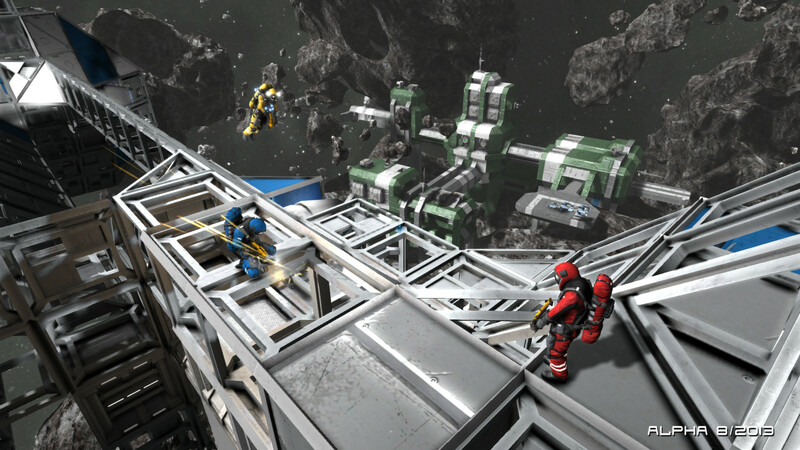 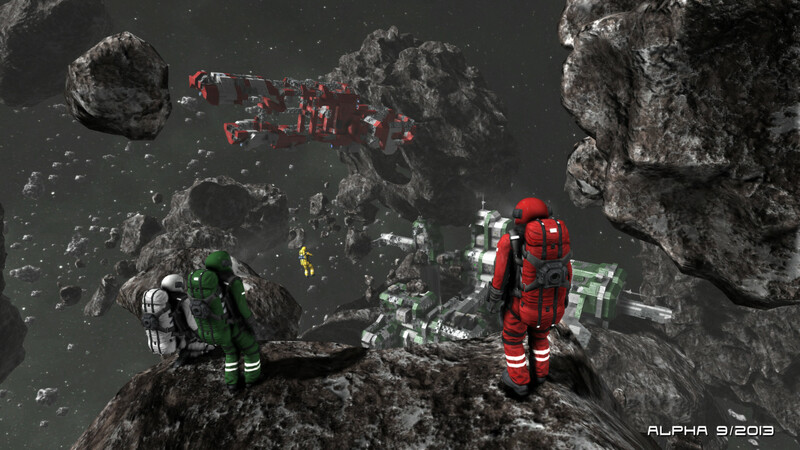 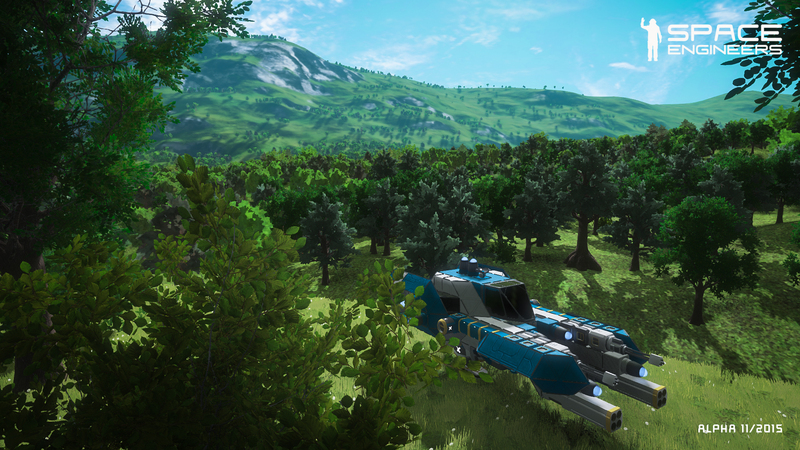 Space Engineers is a sandbox game about engineering, construction, exploration and survival in space and on planets. 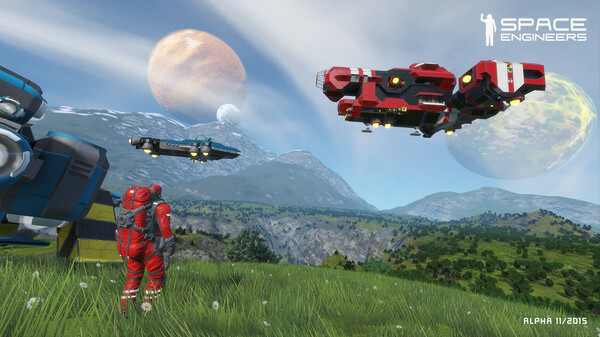 Players build space ships, space stations, planetary outposts of various sizes and uses (civil and military), pilot ships and travel through space to explore planets and gather resources to survive. 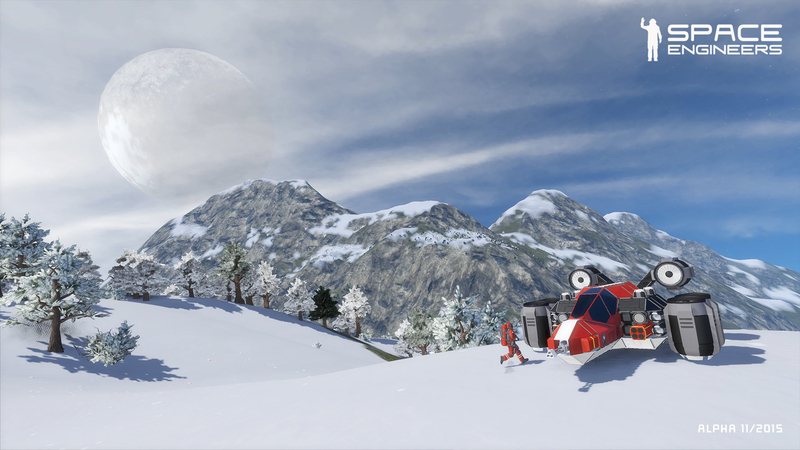 Featuring both creative and survival modes, there is no limit to what can be built, utilized and explored.Space Engineers features a realistic, volumetric-based physics engine: everything in the game can be assembled, disassembled, damaged and destroyed. 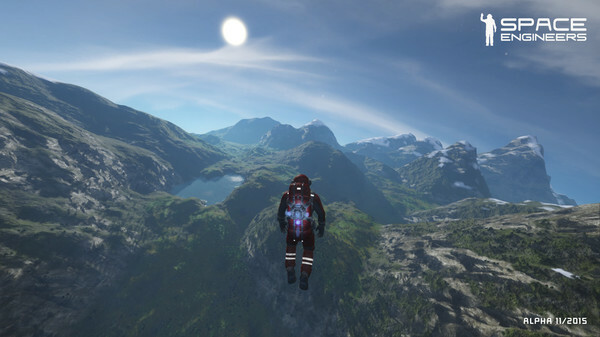 The game can be played either in single or multiplayer modes.Volumetric objects are structures composed from block-like modules interlocked in a grid. 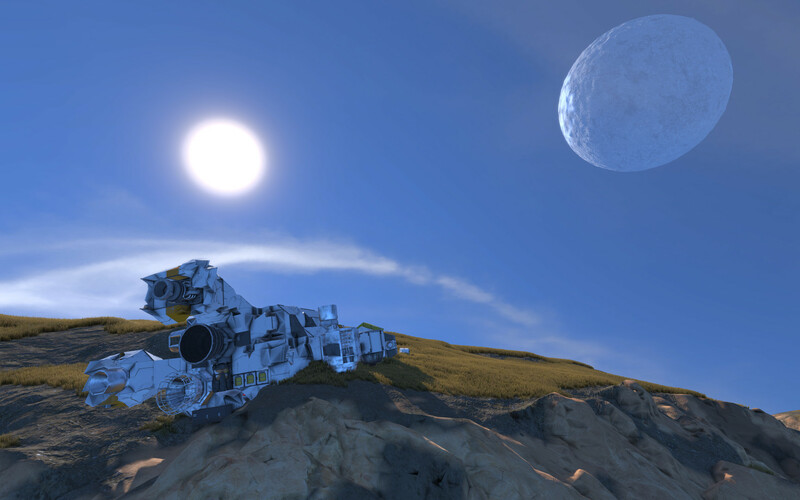 Volumetric objects behave like real physical objects with mass, inertia and velocity. 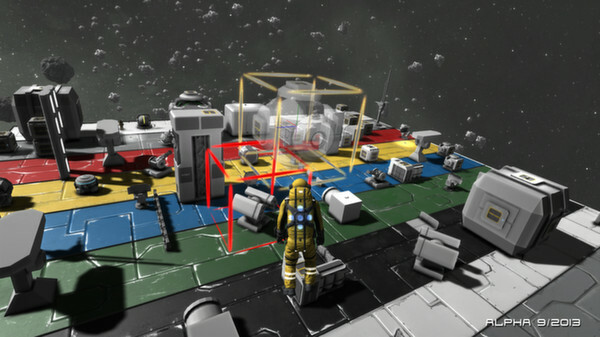 Individual modules have real volume and storage capacity.Space Engineers is inspired by reality and by how things work. 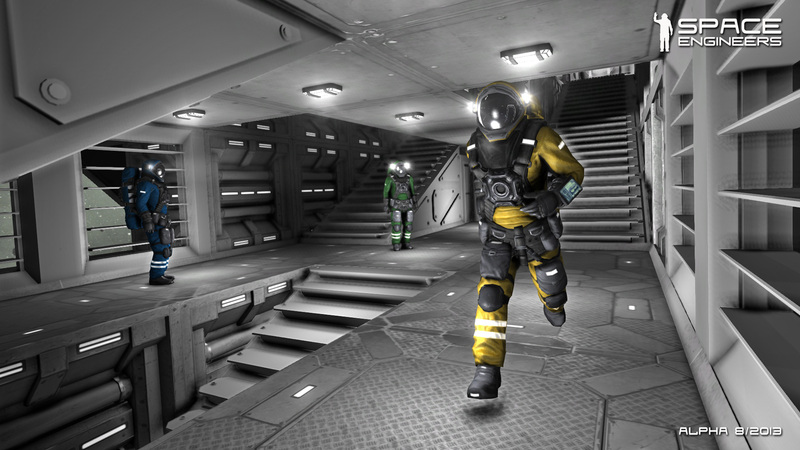 Think about modern-day NASA technology extrapolated 60 years into the future. Space Engineers strives to follow the laws of physics and doesn't use technologies that wouldn't be feasible in the near future.Space Engineers concentrates on construction and exploration aspects, but can be played as a survival shooter as well. 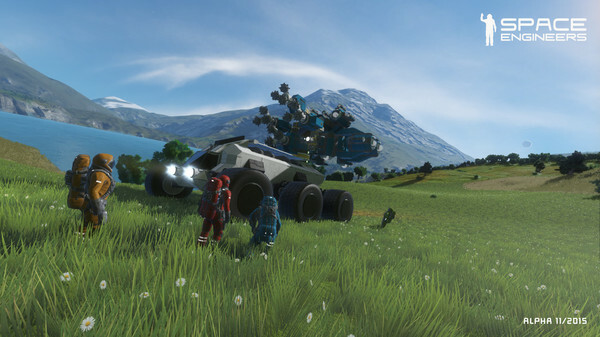 We expect players will avoid engaging in direct man-to-man combat and instead use their creativity and engineering skills to build war machines and fortifications to survive in space and on planets. 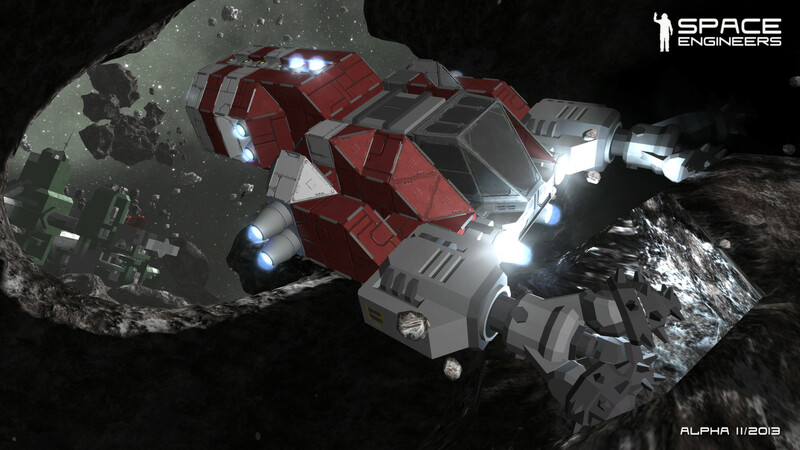 Space Engineers shouldn’t be about troops; it should be about the machinery you build.Early AccessPlanets and moons – inspired by real celestial objects (Earth, Mars, Alien, Moon, Europa, Titan), fully destructible & persistent, volumetric, atmosphere, gravity, climate zonesGame modes - Creative – unlimited resources, instant building, no death - Survival – realistic management of resources and inventory capacity; manual building; death and respawnSingle-player – you are the sole space engineerMultiplayer - alpha version (not a final version) - Creative and survival mode with your friends - Cooperative and competitive - Privacy customization: offline, private, friends only, public - Max 16 players (this may increase in the future) - Weapons on/off - Copy-paste on/offStarting Worlds - Earth Easy Start - start on a habitable planet with a set of basic vehicles. 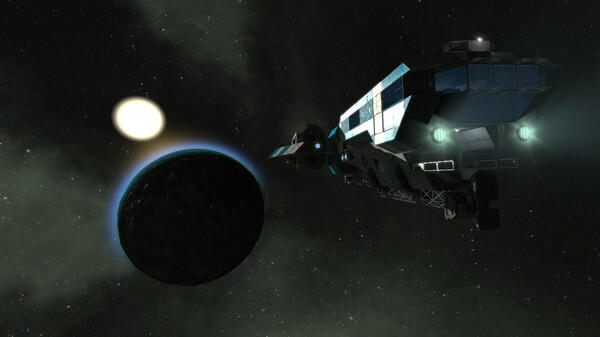 Your survival is threatened by attacking pirates who set up shop within range of their drones. 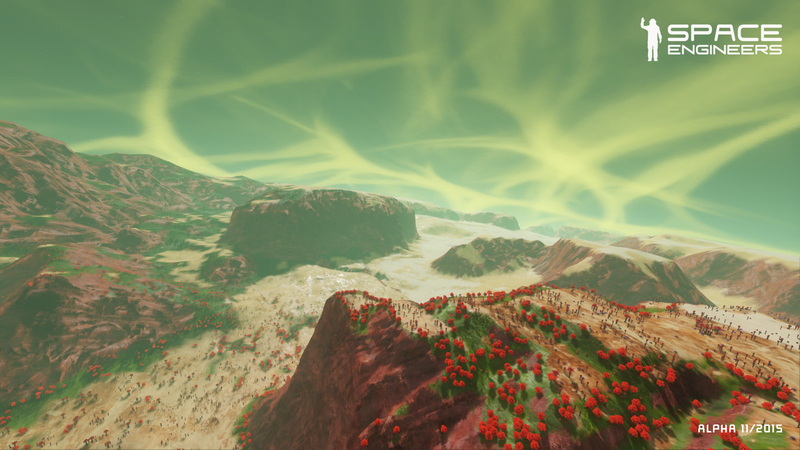 - Mars Easy Start - become a colonist on a barren, inhospitable planet. 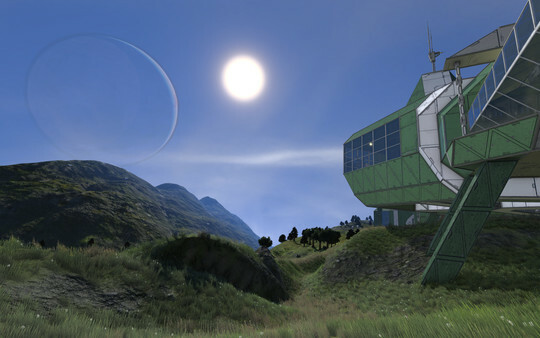 Make sure you secure a source of water soon. 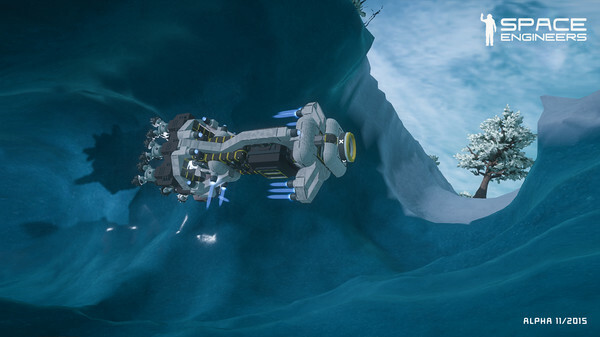 Also beware of local pirates. - Alien Easy Start – the alien planet is a place with very sparse oxygen, not enough to breath freely. There is hostile fauna and pirates who want to claim the riches of this mysterious world and are not willing to share. 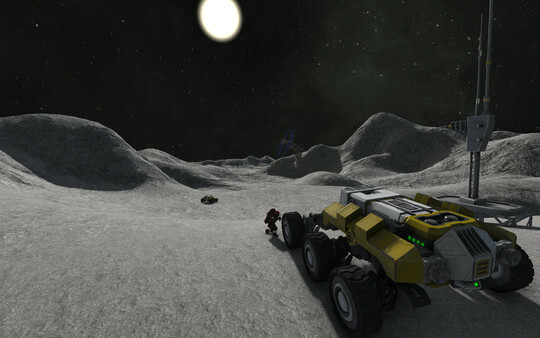 - Moon Easy Start – You start on a moon orbiting a habitable planet. 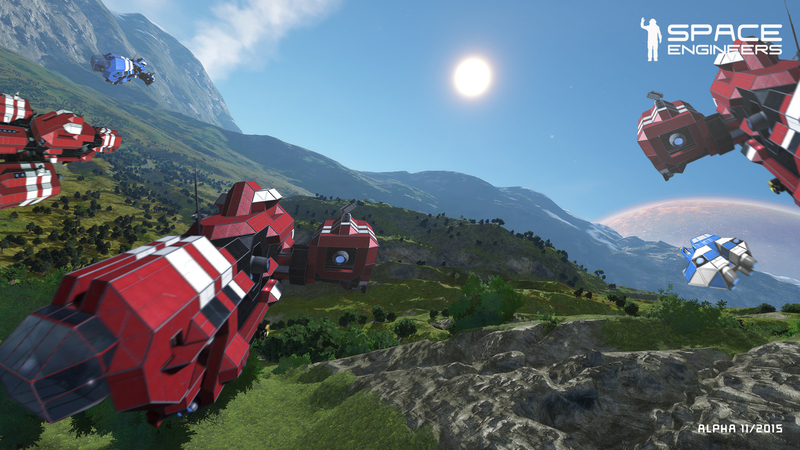 Your base is under attack by pirates. 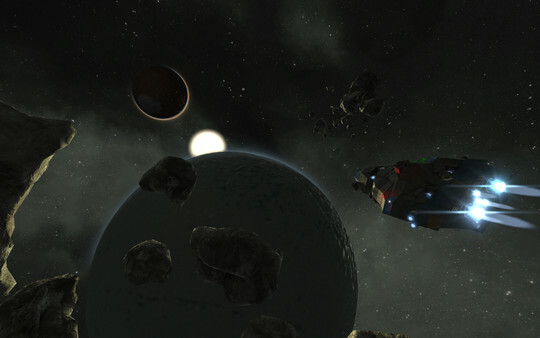 - Empty Star System - It is a star system with 3 distinctive planets and their 3 moons. 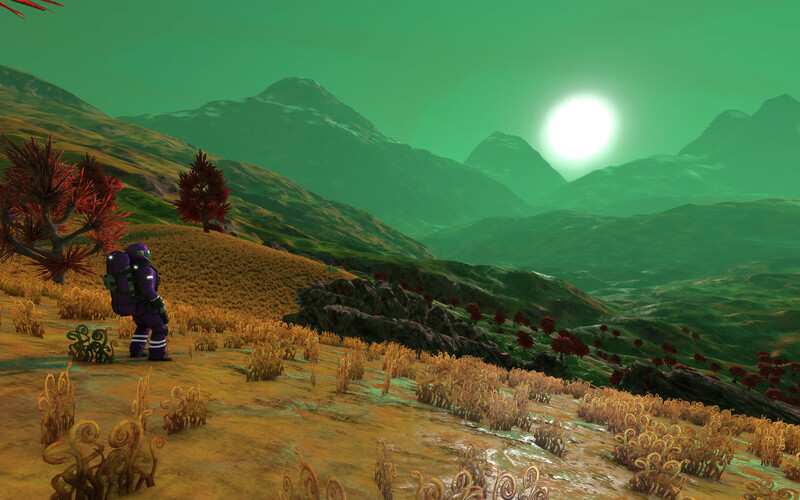 Except for local fauna, planets are uninhabited. - Easy Start 1 – start on an asteroid platform with one large ship and two small ships - Easy Start 2 – start in a green asteroid station with several large and small ships (this is a large scene!) 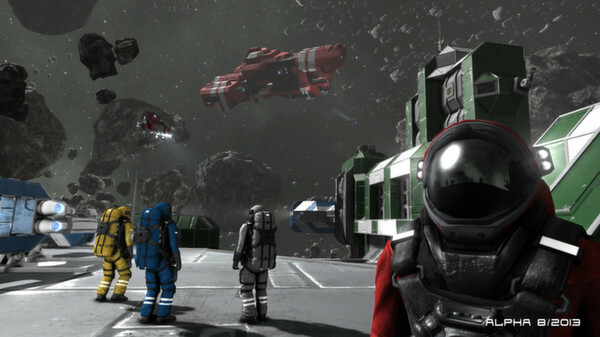 - Lone Survivor – start on an abandoned asteroid platform with no ships - Crashed Red Ship – your mother ship just crashed... - Two Platforms – competitive two-team multi-player world - Asteroids – start in a rescue ship with very limited resources - Empty World – no asteroids, no ships; suitable for creative modeEnemy NPCs - sabiroids (spiders): can be found on alien planets and on Titan moons. 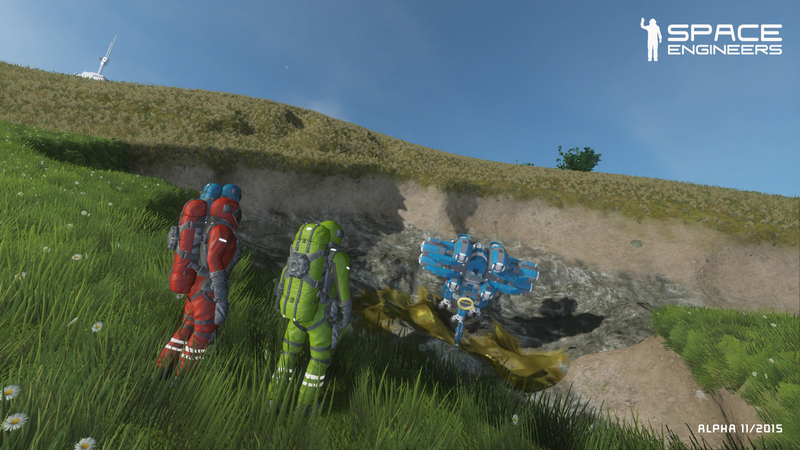 They can destroy metal blocks and attack players. 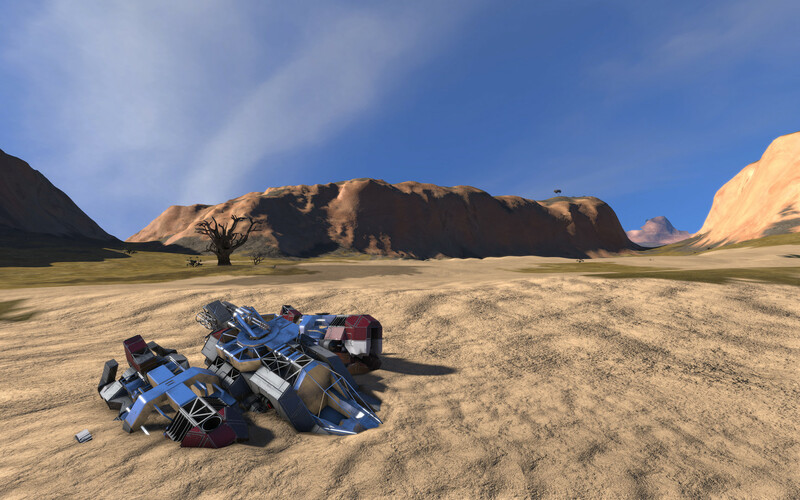 Their favorite hunting strategy is hiding in the ground and un-burrow to surprise their prey. 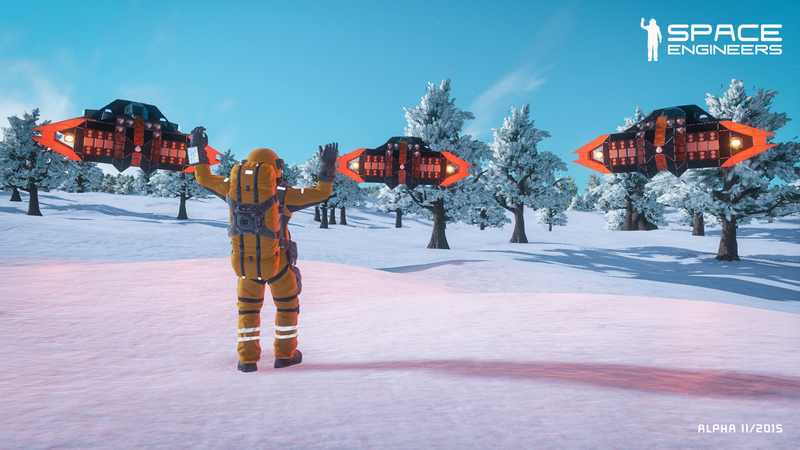 When players kill a spider, new spiders won’t appear in the area for some time. 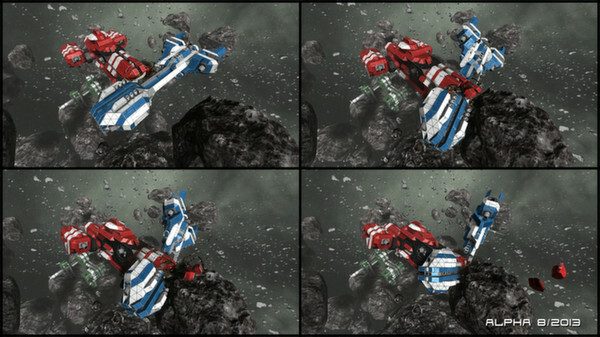 They also store some components inside their bodies from objects and blocks that they consumed. 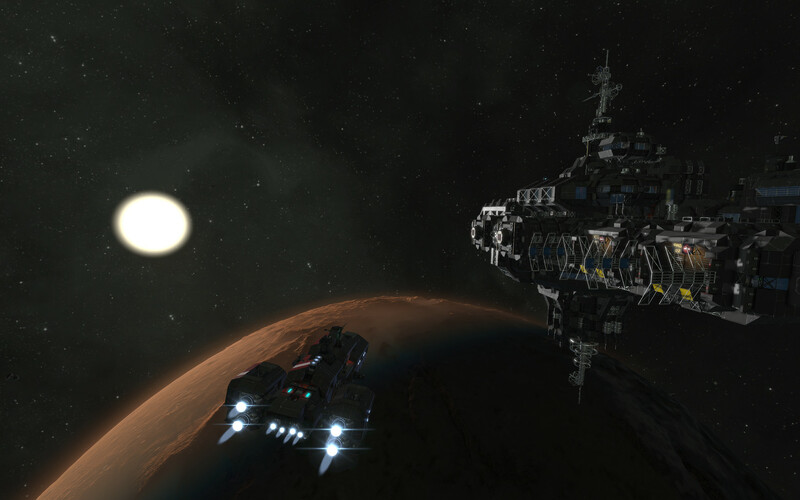 - pirate bases: can be found either in space or occupying planetary surface. 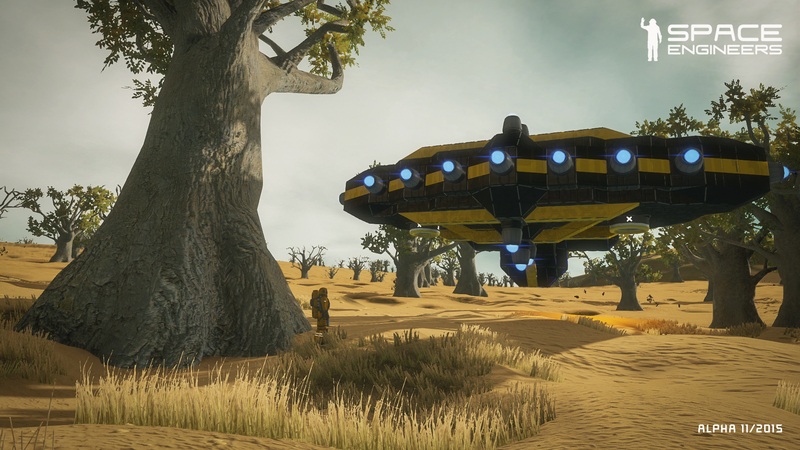 They have bounty hidden inside their containers that players can loot if they get over the drone attacks. 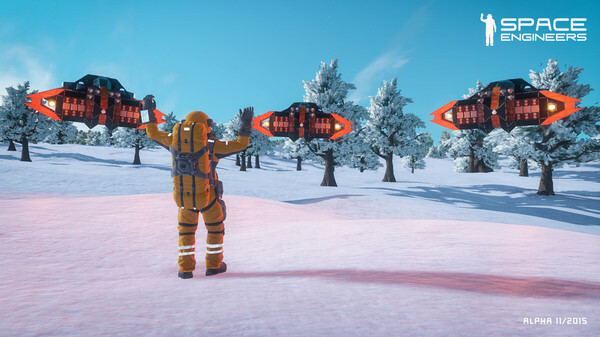 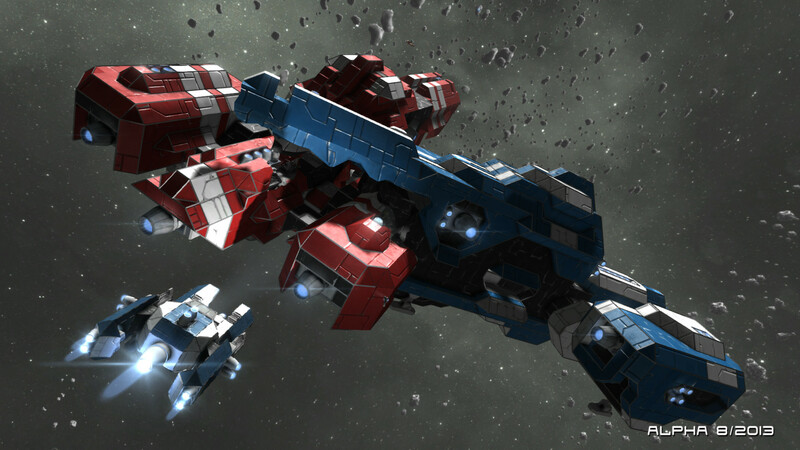 - enemy drones: they spawn automatically from pirate bases and attack the players when they venture into pirate territoryShips (small and large ships – build them, pilot them and crush themSpace stationsFirst-person & Third-personPlanetary bases, outposts, cities!Dedicated servers - allow players to connect to a third party host, rather than using a player-host, in a peer-to-peer set-up. 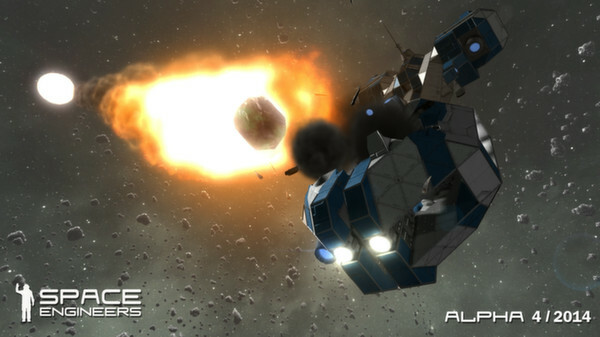 The result is a faster connection and a more fluent multiplayer performance with less lagSuper-large worlds – the size of the world to 1,000,000,000 km in diameter (almost infinite)Procedural asteroids - adds an infinite number of asteroids to the game worldExploration - adds an infinite number of ships and stations to the game world; discover, explore, acquire and conquer!Drilling / harvestingManual building in survival mode – use welder to assemble blocks from components; use grinder to disassemble and reuse componentsDeformable and destructible objects – real proportions, mass, storage capacity, integrityScenario editor - players can create missions and game modes which can be played by other players. Capture the flag, deathmatch, racing or campaign driven missions - all can be done by using the scenario editor, with your own rules and designsBuilding blocks - light armor (cube, slope, corner), heavy armor, interior wall, interior light, small cockpit, large cockpit, cargo container(s), drill (character, large/small ship), ore detector, gravity generator, nuclear reactor, thruster, gyroscope, assembler, medical room, magnetic landing gears, spotlight, catwalk, cover wall, stairs, ramp, window(s), pillar, decoy, wheels, automated turrets, weapons, artificial mass, conveyor, collector, connector, merge block, camera, sensor, timer, text panelMagnetic landing gears – attach your ship to a surface (another ship or asteroid)Electricity - all blocks in a grid are wired in an electrical and computer network; electricity is generated by nuclear reactorsGravity – produced by planets and gravity generators. 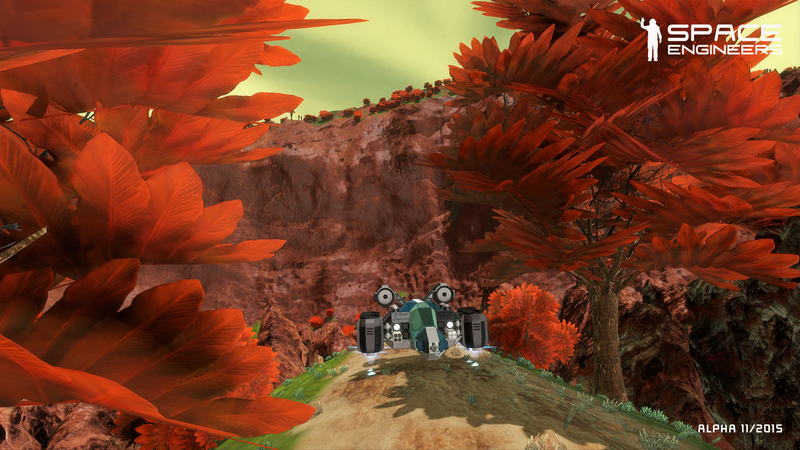 Spherical gravity generator also available.Rotors – create rotating objectsAdvanced rotors – able to function as a conveyor systemRefinery - process harvested ore to ingotsAssembler - manufacture components from ingotsOxygen - take off character's helmet, generate oxygen out of ice by using the oxygen generatorSymmetry/Mirroring Mode - useful in creative mode when building structures that require symmetryWeapons - automatic rifle, small and large explosive warheads, small ship gatling gun, small ship missile launcherLarge weapons - missile launcher (for large ships)Jump drive – a traveling mechanism that allows players to travel big distances in a short period of timeSolar panels - produce energy depending on the amount of light that they catch from the sunWorld management – generate new worlds, “save as” to multiple copies, auto-save every 5 minutes (can be turned on/off), edit world settings32-bit & 64-bit - 64-bit version expands the amount of objects, ships and asteroids (almost unlimited)Steam Workshop - Share your creations with the Community (upload and download worlds)Modding - world files, shaders, textures, 3D modelsSource code access – modders can get complete access to the game’s source code that can be found on Github (https://github.com/KeenSoftwareHouse/SpaceEngineers). This offers the opportunity for more and better modified content.Localized interface (WIP) - Czech, Danish, Dutch, German, Icelandic, Polish, Spanish-Spain, Spanish-Latin America, Finnish, French, Hungarian, Italian, Portuguese-Brazil, Estonian, Norwegian, Swedish, Slovak, Ukrainian, RussianCustom colors for blocks – Customize your creations by using any color you likeCargo ships - auto-piloted vessels (miners, freighters and military) that carry ore, ingots, constructions components and other materials from sector to sector. 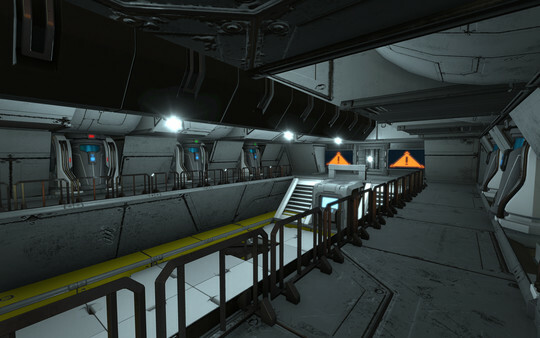 They can be looted but beware, they often contain booby traps!Environmental hazards – protect your character and your creations from meteor storms (Safe, Normal, Cataclysm, Armageddon)Conveyor, Collector, Connector (IMPORTANT: this is a first work-in-progress version and a realistic version will be added later) - Conveyors move items from inventory to inventory. Collectors can collect small objects (ore, ingots, components, tools) into inventory. 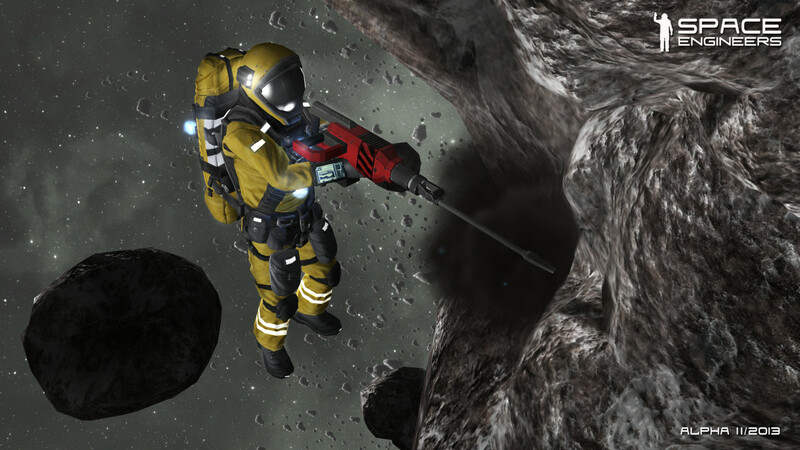 Connectors can throw items from inventory to space (in future update could be used to connect two ships/stations and transfer items)Artificial mass – can be used to add gravity-affected mass to ships, useful in machine ships or carsWheels - use them with rotors and artificial mass to build vehiclesAutomated turrets – gatling, missile and interior. 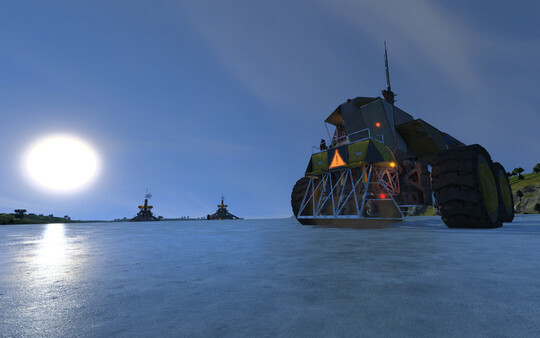 Turrets are used mostly as defense mechanism rather than shooting other players. 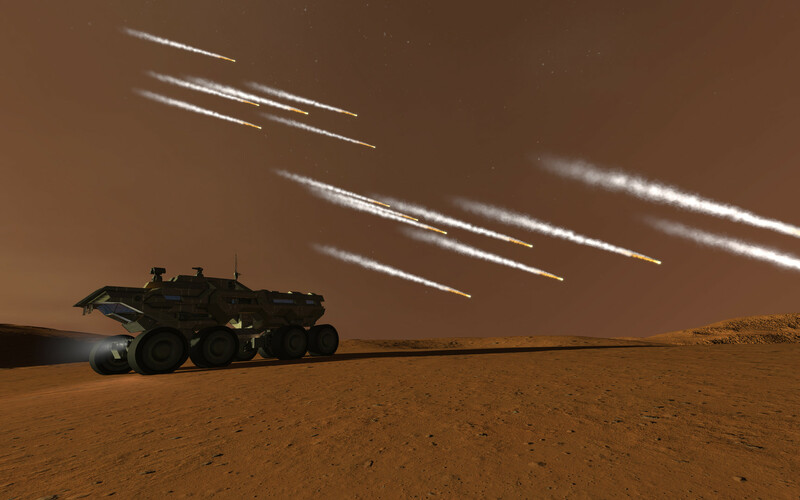 They aim on decoys (automatically by default), meteorites, missiles or all moving objects (eg. small/large ships) - targeting can be changed in the control panelLarge weapons - missile launcher (for large ships)Large and small ship grinder and welder – assemble and disassemble blocks faster and in larger amountBatteries - enables players to store the energy generated by solar panels or reactors at an efficiency rate of 80%Pistons - offers the option to build more advanced machineryIon thrusters – suitable for environments without atmosphere (space or moons) / not recommended to be used on planets with atmosphereHydrogen - hydrogen thrusters, hydrogen tanks and hydrogen bottlesAtmospheric thrusters - powered by electricity, working only on planets with atmosphereFactions - create and join factions, determine ownership of blocks and manage the relations between them (hostile/ally). 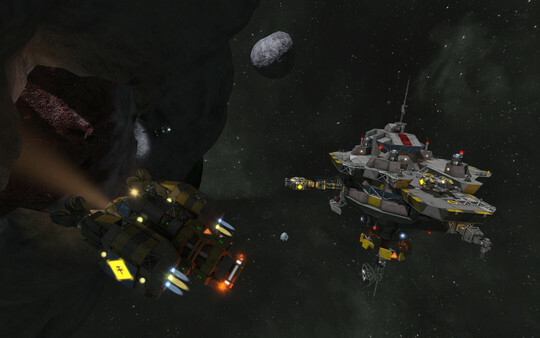 NOTE: Factions are currently Work-in-Progress. There are still many things to be added (eg. chat and communication) and some bugs/issues are yet to be fixed.Remote ship control – control ships without being inside the ship’s cockpit (drones)Remote turret control - control turrets directly3D printing - export (CTRL+ALT+E) and 3D print the creations that you design in the game (http://www.SpaceEngineersGame.com/3d-printing.html)Modding API - brings a lot of new possibilities to modders and allows them to alter the game by writing C# scripts which have access to in-game objects (WIP - more features will be added in the future) Blueprints - save your ship or station on a blueprint and paste it into your gameProjector block – project blueprints and weld the projectionSensor – detects ships, palyers, asteroids, stations, floating objects and their state (friendly, neutral or enemy) and ownershipSound block - reproduce predefined sounds such as alarm or siren for announcementsProgrammable block – players can write small programs executed by the blockCommunication – chat between players and factionsGPS - create, send, receive and manage GPS coordinates in the gameVoxel hands - shape and form the asteroids and change their material (creative mode only)Xbox controller supportPlease be sure to read the list of current features before you buy the game. 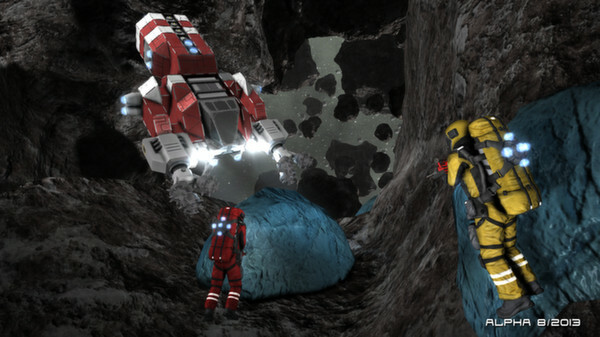 It will give you an insight on what is or isn't actually working: http://www.SpaceEngineersGame.com/features.html How to PlayStart by watching this video tutorial:http://www.SpaceEngineersGame.com/how-to-play.html Performance NotesSpace Engineers is in development and undergoing frequent optimizations. 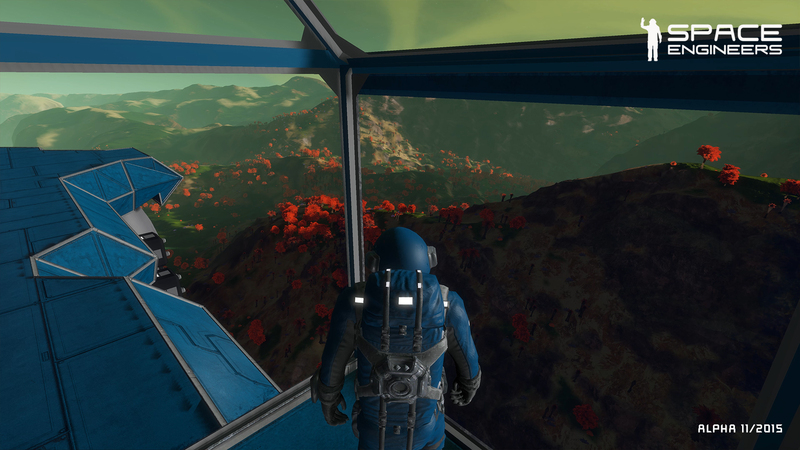 The performance will get better.The performance depends on the complexity of your world and the configuration of your computer. Simple worlds run smoothly even on low-end computers, but a more complex world with rich object interactions could overload even high-end computers.Please read our performance advices: http://www.SpaceEngineersGame.com/performance-advices.htmlMinimum requirements represent the bare minimum to run simple scenes and don’t guarantee a perfect experience.